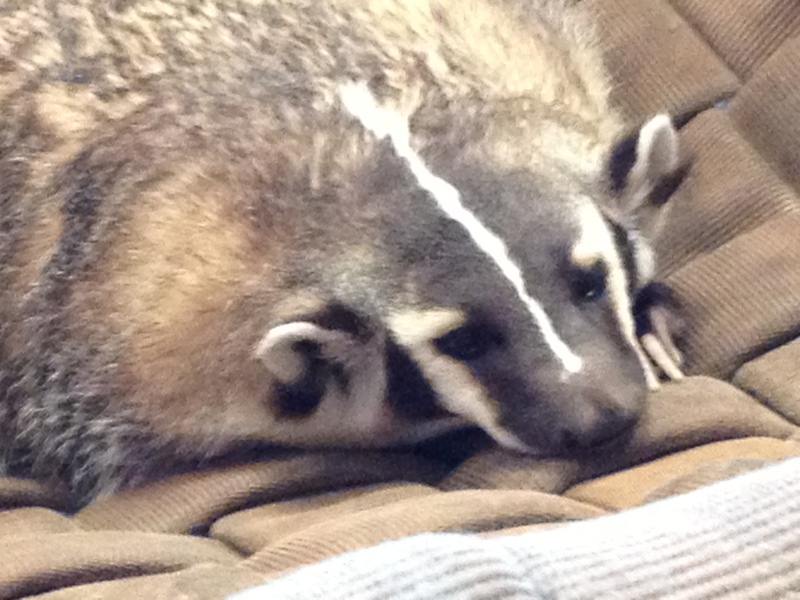 Quite recently, the WIL became a recipient of a new guest in our temporary animal holding facility: a bouncing, bright-eyed American badger (Taxidea taxus). This particular mustelid arrived due to an unfortunate circumstance, but one that is all too common. The badger was found as a kit, and then was harbored at a residence and kept as an exotic pet. Upon receipt of a tip, CDFW wildlife officers confiscated the badger and brought it to the WIL for temporary housing until a more permanent solution could be reached. Upon arrival at the WIL, it was clear that this badger was very habituated to humans thus rehabilitation and release were not an acceptable option. While not as ideal as if this badger had remained a wild animal without human interference, the WIL was able to find a permanent licensed facility that will offer professional care, nutrition, mental, and physical activity to ensure the badger’s well-being. 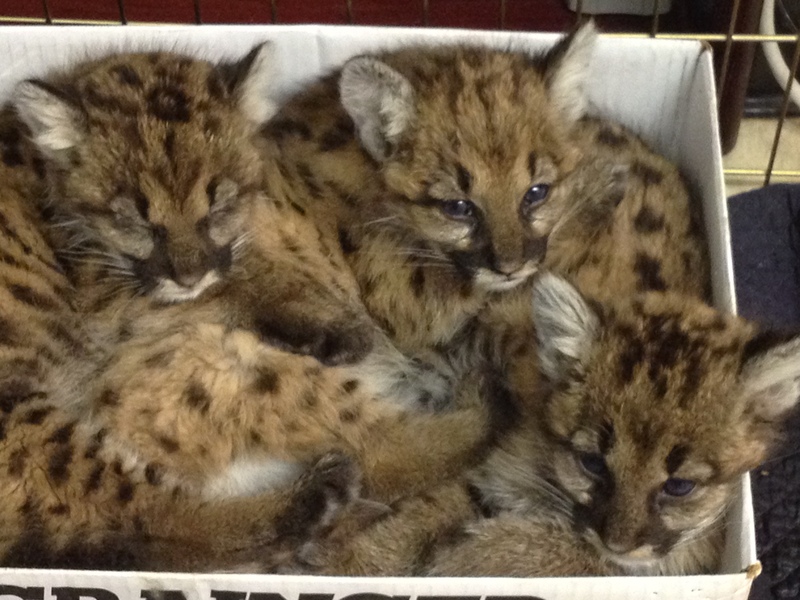 Although it is illegal to import, transport or possess any wild animals in the state of California, some may not recognize the reasoning as to why these laws and regulations are in place. Public safety: By their nature wild animals are unpredictable. They can unexpectedly bite, scratch, attack, etc. when put in a highly stressful environment such as captivity. Often wild animals that seem docile when young, will become dangerous as they grow up. This captive situation will ultimately end up endangering owners, their family, friends and neighbors. Habituation: When animals become used to situations they would otherwise avoid (i.e. human contact) they become habituated and reliant on humans for their survival. A habituated animal cannot be returned to the wild as they could become a nuisance or danger to humans, jeopardizing the animal’s safety in return. Disease: Wildlife can carry diseases dangerous to humans. Since it is illegal to possess wild animals, it is more than likely they will lack any vaccination history. This only increases the chances of zoonotic transmission. Animal welfare: Providing proper care for wildlife requires extensive knowledge of the life history of the species, as well as an extensive time investment to fully meet that animal’s needs. Wildlife possess instincts and behaviors that are tied into a free-roaming state without human contact. Residential homes cannot nurture instincts and stimulate natural behaviors that wildlife need to live a healthy life. When CDFW finds illegally kept wildlife they are often malnourished and kept in unsanitary and sometimes inhumane conditions. When captivity is unavoidable, it is best to leave captive wildlife care to appropriately permitted professionals, who have the knowledge and resources to properly care for the animal.